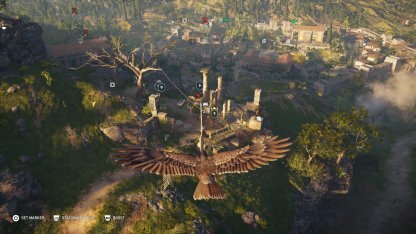 Check out how to use and command Ikaros the Eagle to assist you on your journey in Assassin's Creed Odyssey. 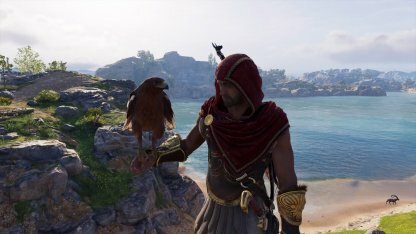 Ikaros is your royale Eagle companion that you will have from the beginning of the game. Using his keen eyes and flight, he will support you in reconnaissance during your adventures. 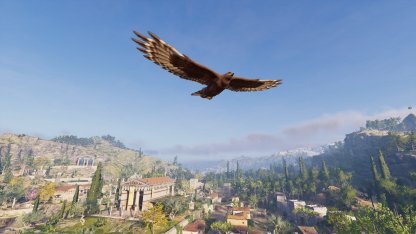 You will be able to mark enemies and points of interests such as treasures, prisoners and war resource caches by entering the Stationary Mode as Ikaros. 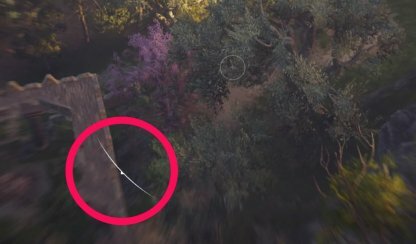 You will be able to spot these marked items on foot and through walls. 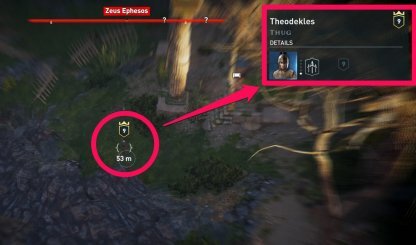 Tagging the enemy will reveal their name, level, rarity and available perks should you recruit them. Use this knowledge to seek out the safest tactics when engaging, or when looking for capable soldiers to recruit. 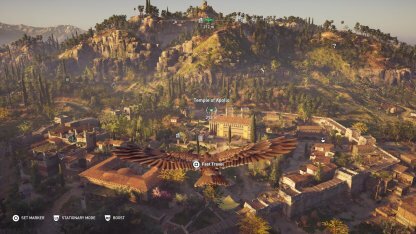 By syncing with numbers of Fast Travel points around the map (marked with an "eagle" mark), Ikaros's ability will become more effective; providing wider scan areas and act as distraction when engaging enemies. Upon entering unknown areas, it is advised that you make a habit of having Ikaros run reconnaissance before entering the zone yourself. By scanning the zone may reveal potential threats and hidden loots. 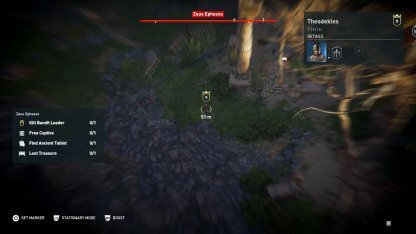 By flying above your targeted area, you may track almost any movement that your enemies make. By tracking their patrol routes, it will make far more easier to anticipate them and use the safest route to sneak in. White indicators and circles appearing on your HUD in Stationary Mode indicate points of interest near by your reticle; highlighting brighter bolder the closer you get. Use this as a reference when scanning for your target or treasure.